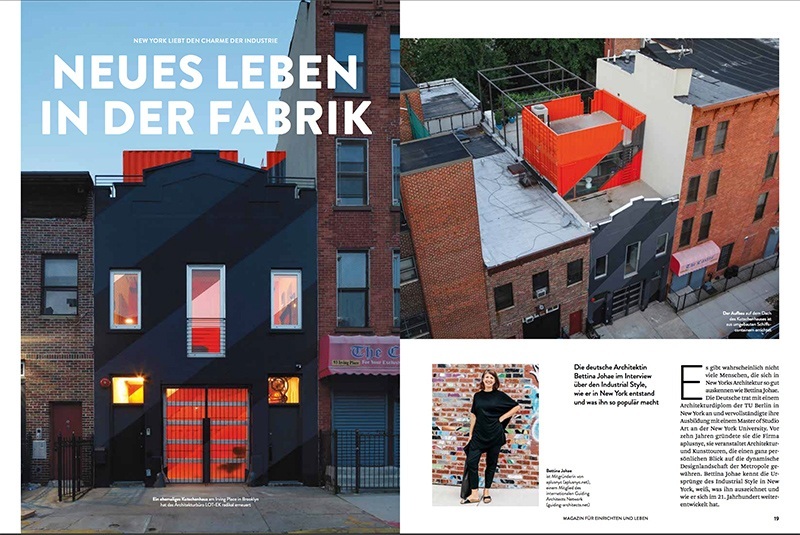 Bettina Johae, principal of our New York member company aplusnyc, was interviewed by German interior design magazine CI about New York industrial style. The interview was conducted by Doris Chevron, portrait by Helga Traxler. If you read German, you can find the full interview here. The same magazine also published a New York City Design Guide based on suggestions by Bettina.